Genesis Multi Sport Holiday Program is a vacation care style program run by Genesis Sport & Aquatics and is a great way to keep the kids busy over the school holidays! 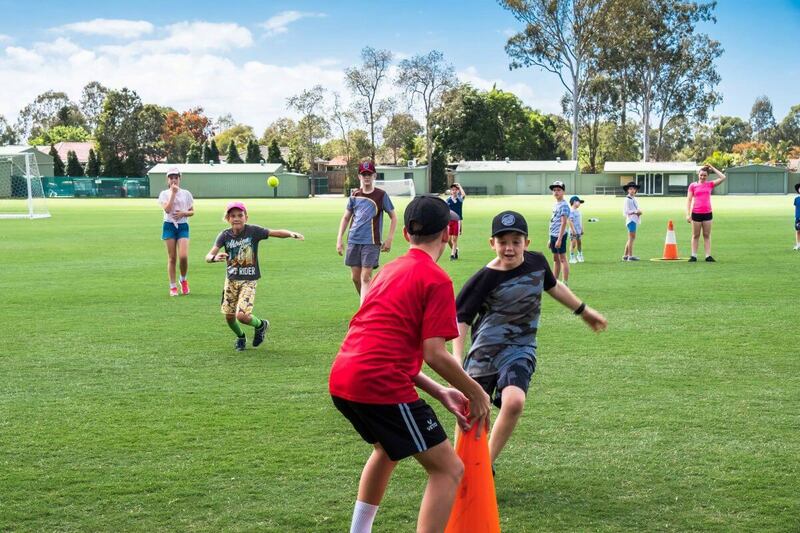 Incorporating a range of fun sporting activities, this program is designed to keep kids active, entertained and off screens throughout the school holidays by trying new sports. It’s also a great option for working parents or those kids who bounce off the walls at home! While keeping participants active, the Genesis Multi-Sport Holiday Program also works on building their self-confidence, developing team building skills and encouraging independence. Daily programs include a variety of sporting activities with a major focus on FUN. Children are encouraged to participate and be involved in every activity on offer. Each group will rotate their schedule of activities each day. Our program has a minimum of 20 participants. With more than nine sports on offer for students to participate in, there is something for everyone. The exact sports will be dependant on interest received from all enrolled applicants. We cannot guarantee that your child’s preferred sport will be offered on their day/s however, we will do our best to cater for all requests. Each day runs from 8.00am through to 5.30pm. The program operates every Monday, Tuesday & Wednesday of school holidays along with most pupil free days. A 20% discount applies to the total booking cost for any student who is enrolled for more than 3 days. Enrolment can be made at any reception area, via phone or email. An enrolment form will need to be completed and returned before a formal booking is made. Children will be grouped prior to the commencement of the program and will be broken up primarily by age and participant numbers. However, our program is all about having fun so if your child would like to be placed with their sibling or friend, please notify us prior, we will try our best to facilitate this (where it is practical to do so). Groups may change throughout the 3 days depending on attendance and practicality. Please ensure all items (lunch boxes, bags, clothes and drink bottles etc) are clearly labelled with your child’s name. Genesis Multi-Sport Holiday Program cannot guarantee kiosks or canteens will be open for the purchasing of equipment, food etc. Genesis Multi-Sport camp doesn’t accept responsibility for any lost or stolen items.